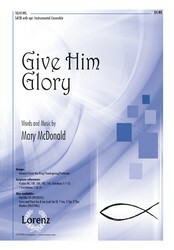 Mary McDonald demonstrates her mastery of the gospel style in this original anthem that celebrates God's glory through song. Accessible choral writing throughout the piece urges God's people to bring Him all of the praise and glory that He deserves. 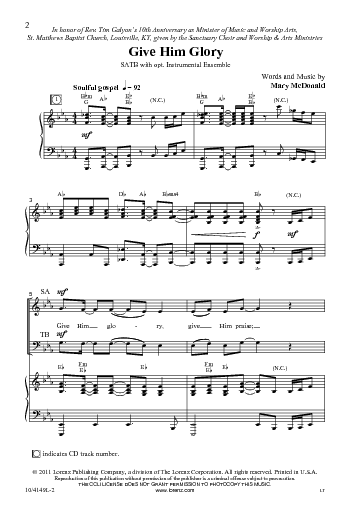 A full McDonald-style keyboard accompaniment can be accented by the use of the optional instrumental ensemble.